Anybody that comes in even the briefest of contact with the world of occupational safety knows that fall protection is a hot topic. There are blogs, social media groups, and even entire companies dedicated to it. While some topics are treated as an elective within an OSHA 10 or 30-hour course, fall protection is one that is required and it’s for good reason. Falls have been at or near the top of the list for occupational fatalities and at the top of the list for construction fatalities for years. Rather than getting better over time, the number of fatalities due to a fall is rising. According to the Bureau of Labor Statistic’s most recent data, occupational fatalities due to a fall to a lower level rose 11% from 2013 to 2014. Why do falls remain this great, mysterious thing? If workers truly understood where and why they happen, or what could be done to prevent them, we’d have no falls at all, right? Maybe understanding the fall itself can help prevent them. So let’s look at one step-by-step. Morning meetings have been held, tasks assigned, equipment distributed, and work is proceeding as usual. It’s during this time, however, that a bad decision is made. It’s at this point that you choose to climb to an elevated work area that is not guarded and do so without your personal fall arrest system. Maybe you aren’t trained in fall protection and either a) don’t know you’re supposed to have fall protection or b) are unsure of how to properly use it. Perhaps management personnel knew that proper precautions weren’t in place, but put production ahead of safety. Perhaps, you actually brought your harness and lanyard but didn’t bother to hook up to the anchor point. Falls happen due to a lack of planning more than anything else. If you talk to people who don’t feel it necessary to use fall protection while working at heights, you’ll hear such things as, “I have very good balance,” or, “I have good reaction time; if I was going to fall I’d catch myself.” Agility and fast reactions aren’t enough however, as losing your balance often has nothing to do with a fall. Sometimes a platform gives way, or you’re struck by a falling object which knocks you unconscious. Sometimes you pass out or get lightheaded from a sudden drop in blood sugar due to a medical condition – maybe even a medical condition you did not know about. 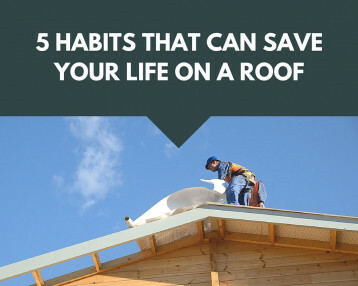 Sometimes a sudden gust of wind picks up and blows somebody clear off a roof. The fact of the matter is, balance means nothing against the forces of nature or a 5000 pound suspended load that went astray. Balance won’t save you when, in reality, the moment of fall was probably one that you never saw coming. If you can’t see something coming, how do you react? How do you “catch yourself”? Sure, maybe if you felt yourself losing your balance you could grab onto something to steady yourself. That’s obviously possible, but what if you just outright fell? What if you got knocked off a platform? The fact of the matter is that you’ve fallen 6’ in the blink of an eye and there’s nothing you’re going to be able to do to stop yourself. Let’s face it, the results of impact aren’t pretty. 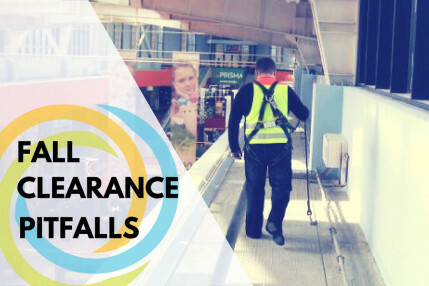 If they were, falls would not result in fatalities as often as they do. 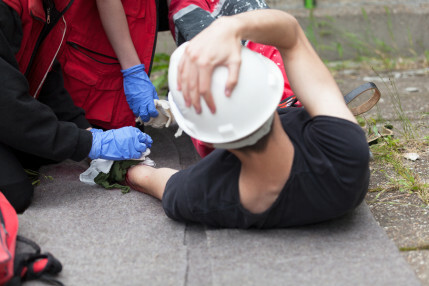 If you are “lucky” enough to survive a fall, you could be facing medical issues for the rest of your life. Not only can a fall break bones, it can rupture internal organs, cause severe concussions or another brain injury, and result in paralysis, a coma, or other permanent disabilities. And you don’t need to fall ten stories for this to be the case. According to one NIOSH study, more than 25% of all fatalities were the result of a 6 to 10-foot fall from a ladder. Make no mistake, other than the very rarest of exceptions, getting up and walking away unharmed from a significant fall is the stuff of action movies and cartoons. The immediate aftermath of a fall is chaotic and intense: people scrambling to call 911, others rushing to your aid, and still others are frozen in disbelief, panic, or shock. People are most likely not thinking clearly and may be putting themselves or others in danger while reacting to what just happened. Machine operators may leave equipment unattended, friends and co-workers rush through or into unsafe areas to get to you, some people may even be putting themselves in the same fall exposure you just had trying to get a glimpse of what happened to you. Shortly after that, there’s the notification to your family and whether the fall was fatal or not. This is an extremely trying experience for both your family and the person tasked with making the call. Your spouse and children, your parents, your siblings, and your friends will be devastated. Counseling will be needed for many of them as well as co-workers. Those that witnessed the event may be traumatized and may never be able to return to that job themselves. For survivors, falls are life changing. If you’re able to work at all, you may never be able to work in your field again. Psychological issues are prevalent. Marriages fall apart. A fall affects so much more than just the physical well-being of the person involved. In a fall, the moment of impact may seem like the end, but it’s really just the beginning. 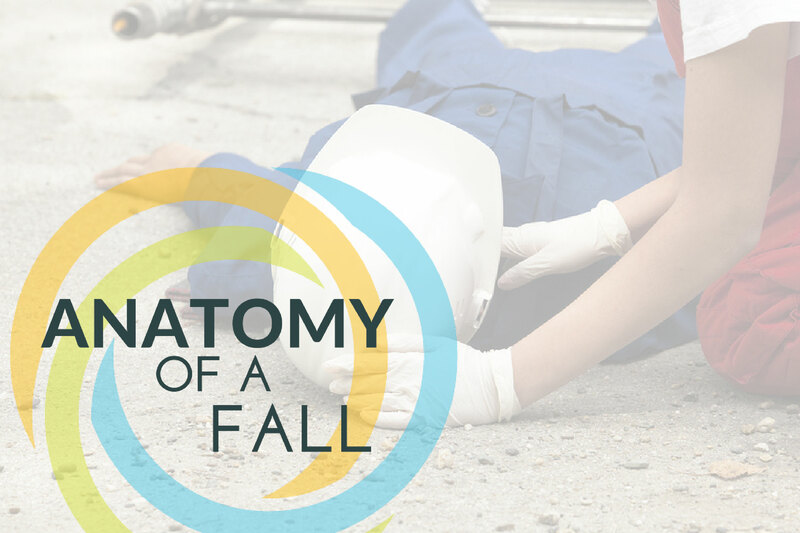 The fall may have involved just one person at first, but by the time it’s over dozens are affected. However, falls are preventable. 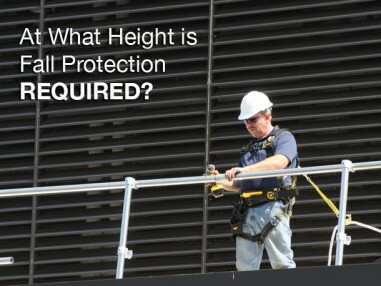 There needs to be a willingness to plan in order to make sure the selected fall protection solution is appropriate. There needs to be a willingness to learn so an employee can ensure they know how to inspect their equipment and use it properly. There needs to be a willingness to do what’s right, even when it’s not the cheapest or quickest way to get things done. Given all that, maybe then, hundreds of lives a year won’t be lost on the job to fatal falls. Maybe then, hundreds of more people won’t have their lives shattered each year by the loss or debilitation of a loved one. Maybe then, the number of fall incidents will finally begin to decline.